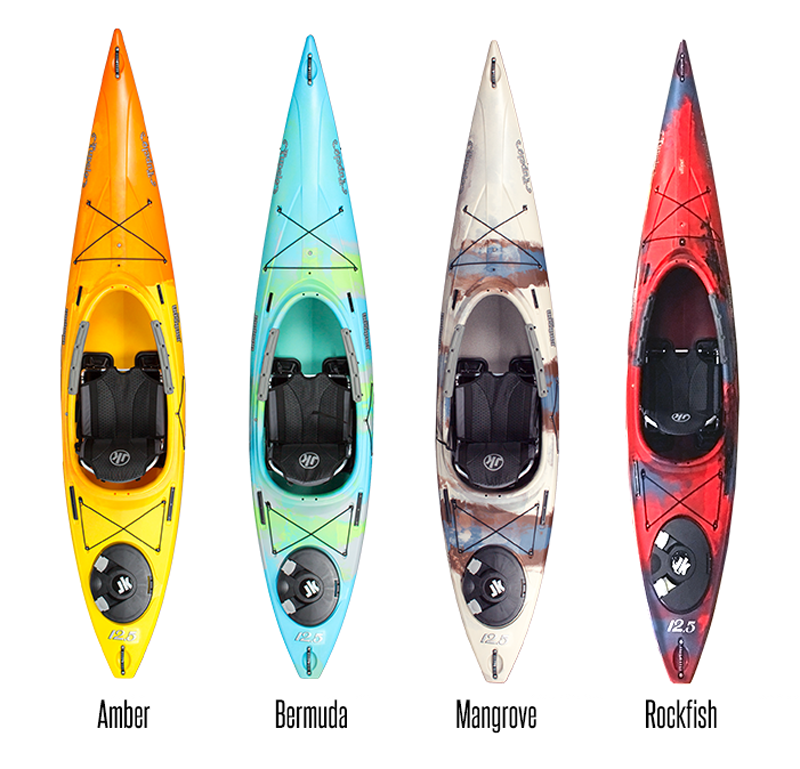 Designed for cruising the waterways with comfort and efficiency, with loads of storage and convenient accessories, the Tupelo is your premier, feature laden recreational kayak. Like touring and whitewater kayaks, the Tupelo comes sized for the paddler, with the 12.5 for larger paddlers and the lighter, narrower 12.0 ideal for medium or smaller paddlers. Ideal to match one of each for a couple. Both feature Jackson's removable and super comfy Elite Seat, with adjustable lumbar support. Gear track around the deck allow you to accessorize with RAM products like rod holders, GPS, camera mounts, smart phones and more. Versatility, comfort, ease of use....the Tupelo has it all!